Creating a routine for yourself to follow every night before bed allows your brain and body to understand that it is time to relax, and know that sleep is coming. This can be whatever you find to be calming, whether that be a soothing yoga stretch, a cup of warm chamomile tea, or reading a good book. Doing this consistently will start to signal your brain that sleep is coming, allowing you to instantly catch some quality z’s when your head hits the pillow. 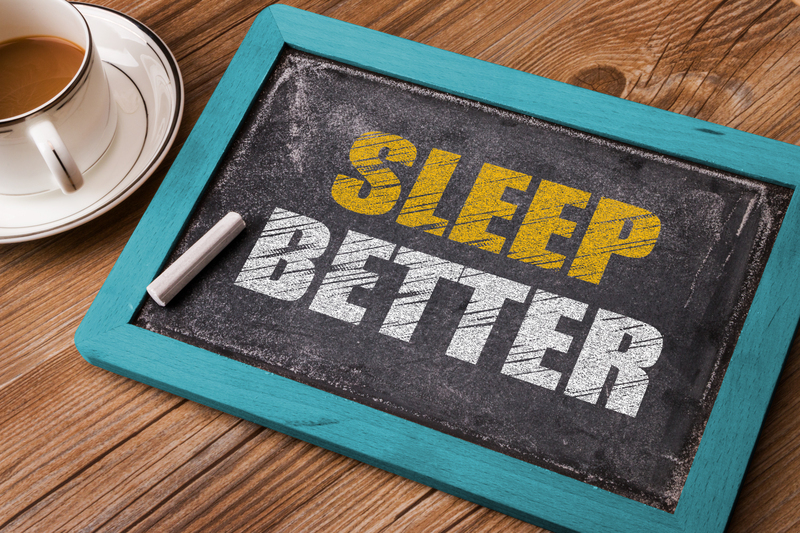 While many of us are aware that getting somewhere near 8 hours of sleep is crucial to feeling well rested, most people are not taking advantage of planning for sleep cycles. Making sure that your sleep patterns are in full sleep cycles of 90 minutes can make a significant impact on how awake you’ll be the next day. You’ll feel more refreshed and ready to start your day, rather than groggy and wanting to stay in bed when you set an alarm for a time that interrupts your sleep cycle. Set yourself a specific bedtime and wake-up time that’ll allow for these full cycles. How many times have you gone to bed exhausted, but as soon as your head hits the pillow your mind starts racing at a million miles an hour? Thoughts of what you didn’t get done today, what you have to do tomorrow, and all sorts of other worries. Doing what we call a “brain dump” and writing all these thoughts down before getting into bed can allow you to get to sleep faster. You’ll be able to rest knowing that your thoughts are jotted down and will be there in the morning and you won’t forget. Giving yourself some positive self-talk before bedtime can also help the brain to relax and accept that it is time for sleep. Rather than focusing on the things that didn’t get done, or anything that is stressing you out, try doing just the opposite: Focus on the positives. This could mean stating 3 things that were good about your day, or what you are proud of yourself for accomplishing. For some, this could even mean tapping into spiritual or religious beliefs to prepare for a restful sleep. You’d be surprised at the power of self-talk!